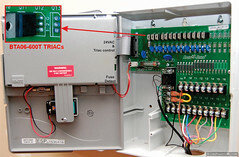 This entry was posted in Home automation, New products and tagged Sprinklers by Felix. Bookmark the permalink. Hey Felix, that was a cool demo. I was just wondering whether you’ve ever seen (or considered using) IBM’s NodeRed for your automation system? It’s a little something I’ve been using lately, and I find it to be very useful! Thanks Aman, please see this page for some answers to your question. Could this new IO board be used to switch other things ? Yes. 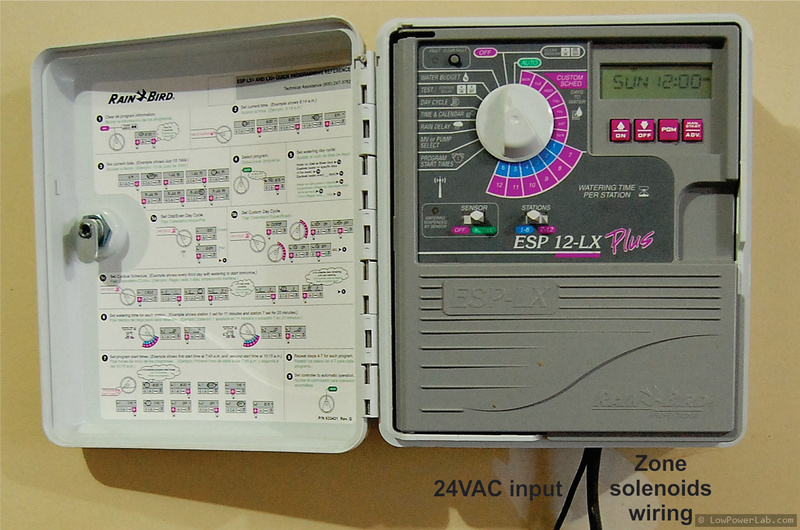 Think of the 16 channels as 16 outputs that can be set LOW or HIGH. So you can drive anything like relays (through transistors/mosfets), LEDs, etc. that’s totally cool. 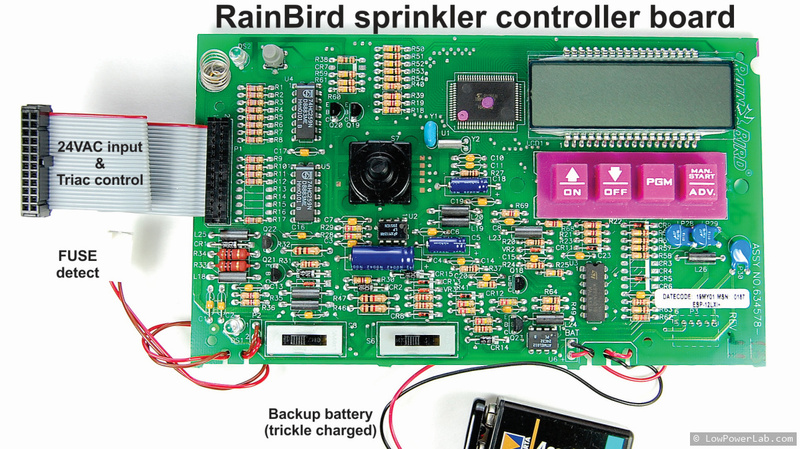 I was just working on a Moteino solution to control a Hunter sprinkler system. The prototype Moteino is battery powered as I just ordered the USB Moteino. The productive solution would have a 5V powered USB Moteino, an 8 channel relay board and the 24VAC power supply for the sprinkler valves. When I understand the use of the IOShield correctly I can get rid of the 5V power supply (using the buck regulator and the 24VAC power supply powering a regular non USB Moteino) and also the relay board. Correct? First be careful how you power your relay board, the Moteino 3.3V source cannot source more than 250mA total power (Moteino MCU and radio included). You could do all of this by using 8 digital pins (analog pins can be used as digital except D6,D7) of the Moteino then you would not really need a IOShield, or a MoteinoMEGA which has a lot more IO pins. I hope to make some IOShields in the near future. Yes, using the Moteino power source for the relay board was just for the prototype. Thank for the hint anyway. 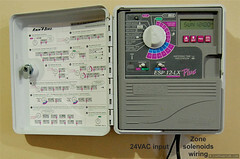 I thought by using the IOShield I could get rid of the relay board at all. Can I? Is the output of these 16 channels of the shield 24VAC when set to HIGH? I like the idea of only having one power supply (24VAC) and no relay board as in my case “size matters” as I am limited at the position the Moteino needs to operate. The IOShield is only giving you more outputs, it’s not 24VAC (!). You will need some relays or TRIACs to turn ON your valves/solenoids for the sprinklers. 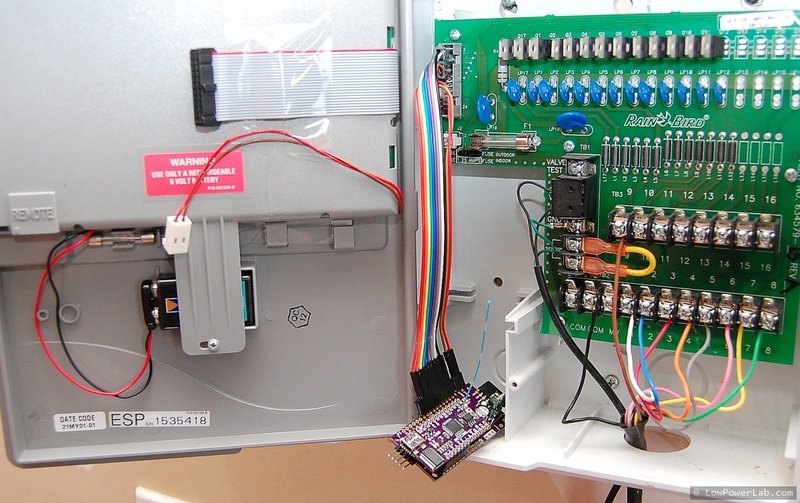 If you can get away with a Moteino with 8 outputs you don’t need the IOShield. You will just need a regulator and 100uF 50V capacitor to regulate from 24VAC to 5V. Ok I see. Thanks for clarification on this one!